Kenneth Grahame's "Wind in the Willows" will hop from the page to the stage with Gresham Little Theater's May production. Adults and children alike work together to bring the whimsical wonder of the old English countryside to life. Join the likes of Mole, Ratty, Old Badger and the ever-eccentric Toad as their journey takes them from The Riverbank, to The Wild Wood and finally The Wide World. The childhood classic is full of songs, laughter, mischievous weasels and motor cars. Performances are May 11-13 at Gresham Little Theater, 740 S.E. 182nd Ave. Friday and Saturday performances take place at 7 p.m.; Sunday matinees are at 3 p.m.
Tickets are $8 for adults and $6 for students (ages 17 and younger). Inquire in advance for groups of six or more. Gresham Little Theater is a nonprofit community theater based out of the Rockwood Preparatory School in Gresham. Join Mt. Hood College Planetarium Director Pat Hanrahan for "Icy Worlds: Is There Life Elsewhere Within Our Solar System?" at 6 and 7:15 p.m. Tuesday, May 8, and Friday May 11, at the MHCC Theatre, 26000 S.E. Stark St., in Gresham. Earth often is thought of as the only planet in the Solar System that orbits inside the so-called "Goldilocks Zone" where life can flourish; however, some of the moons of Jupiter and Saturn have been discovered to potentially have liquid water oceans below their icy surfaces. Hanrahan will not only show close-up images of these moons but also discuss the current night sky. Visitors are encouraged to ask questions during each 45-minute live program. Admission is $5 for the general public and $2 for children (17 and younger) and MHCC students (identification required). Seating is limited and available on a first-come, first-served basis. This is the next-to-last scheduled planetarium show for this school year. The next show will be "Big Astronomy from Chile." For more information about the planetarium, visit mhcc.edu/planetarium. 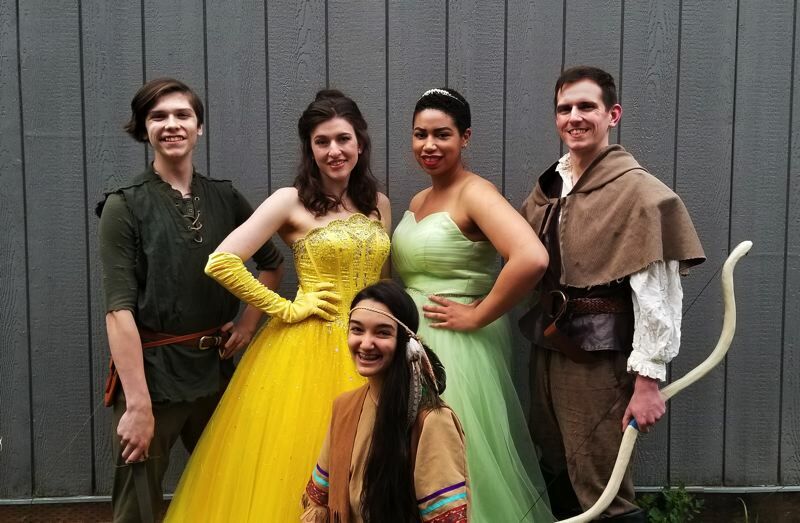 Bring your little princesses, princes and fairy tale fans out to enjoy time with Eastside Theater Company's cast of characters from 1-4:30 p.m. Saturday, May 12, at The Chapel, 27132 S.E. Stark St, Troutdale. Admission is $5 per person at the door and open to everyone. A ticket includes a trip through an ice cream sundae bar and special character meet-and-greet time with a host of storybook and animated film favorites. Guests are welcome to join in the fun by dressing as their favorite characters and bringing cameras and autograph books for photo ops and character signatures. For more information, visit www.facebook.com/events/1496734450436234/ or https://squareup.com/store/cct.